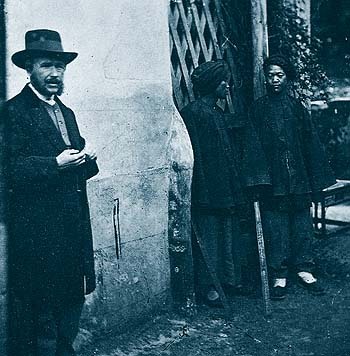 John Thomson (14 June 1837 – 29 September 1921) was a pioneering Scottish photographer, geographer and traveller. He was one of the first photographers to travel to the Far East, documenting the people, landscapes and artifacts of eastern cultures. Upon returning home, his work among the street people of London cemented his reputation, and is regarded as a classic instance of social documentary which laid the foundations for photojournalism.